Have you heard? Microsoft hearts Linux. And with good reason: Linux is the home of fast-paced innovation and collaboration. If you're comfortable with Linux then you can step right into new technologies like Node, Docker, Redis, Kafka, Hadoop, et al while they're being developed. They all migrate to Windows eventually, but that takes a while, and the end product on Windows isn't always quite the same. I've been using Windows since version 3.1 (I remember when Windows for Workgroups 3.11 came out, with the big sell that it could connect PCs together - on the same network!). I think it's a great OS and the latest versions of Windows Server are as solid, fast and reliable as any platform I've used. But new technologies continue to be driven on Linux, Microsoft are working closely with the Linux community, and now is a better time than ever to have cross-platform skills. .NET is going open source and with ASP.NET 5 you can run Websites and REST APIs natively on Linux, and that opens up a whole lot of runtime options if you have the skills. It starts from the ground up with Ubuntu, a free open source Linux distribution. 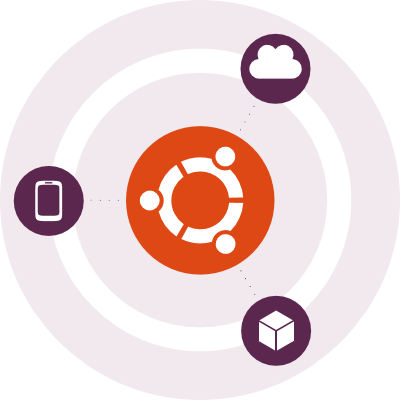 Ubuntu is user-friendly, fast and fun, and is one of the most popular operating systems around (and it’s *all* around – Phones. Clouds. Things - is the current tagline). Ubuntu comes in many editions and the course covers the Desktop and Server variants in depth, starting with the Desktop. It goes through all you need to know to install and use Ubuntu Desktop as a replacement for Mac OSX or Windows. Ubuntu comes with a host of software pre-installed so you can do almost everything you need to do from the box - email, instant messaging, web browsing, playing music and videos, producing work documents. For anything else you need to do there's the Ubuntu Software Centre - the app store where most apps are free and open source. In the middle of the course, things get a bit deeper with a module on mastering the command line. The Linux command line is a joy to use, full of well designed and well documented commands that make automation a breeze. In this module I cover BASH scripting too, and running scripts periodically with CRON, the scheduler that's built into Linux. The end of the course gets more techy, looking at developing on Ubuntu with free, open source platforms and then moving on to Ubuntu Server. The Server edition of Ubuntu is a lean, powerful OS with very modest hardware demands. You can happily run a server instance with 10GB of disk and less than 1GB of RAM. That makes it ideal for virtualisation and running in the cloud (you can run Ubuntu Server instances in Azure of course, and the new HDInsight on Linux preview runs a whole Hadoop stack on Ubuntu in Azure). So if you're an engineer and you can't wait for Microsoft to bring Docker into Windows Server, now is the time to go cross-platform. Or if you're an architect and you want to deliver solutions using one codebase that can run on any cloud (including an open source cloud you can run yourself), you need to learn about Ubuntu and Juju. Or if you're still running machines on Windows XP or Windows Server 2003, it's time to look at safer alternatives, and Ubuntu is a great option. One thing the course doesn't cover is the Ubuntu Phone, which wasn't available before the course was signed off. But I ordered mine in the first flash sale and when I get it, I'll be writing about it here.